Chemometrics is the science of extracting information from chemical systems by data-driven means. It is a highly interfacial discipline, using methods frequently employed in core data-analytic disciplines such as multivariate statistics, applied mathematics, and computer science, in order to address problems in chemistry, biochemistry, medicine, biology and chemical engineering. In this way, it mirrors several other interfacial ‘-metrics’ such as psychometrics and econometrics. Chemometrics is the science of relating measurements made on a chemical system or process to the state of the system via application of mathematical or statistical methods. Chemometric research spans a wide area of different methods which can be applied in chemistry. There are techniques for collecting good data (optimization of experimental parameters, design of experiments, calibration, signal processing) and for getting information from these data (statistics, pattern recognition, modeling, structure-property-relationship estimations). Chemometrics tries to build a bridge between the methods and their application in chemistry. Chemometrics is what chemometricians do. 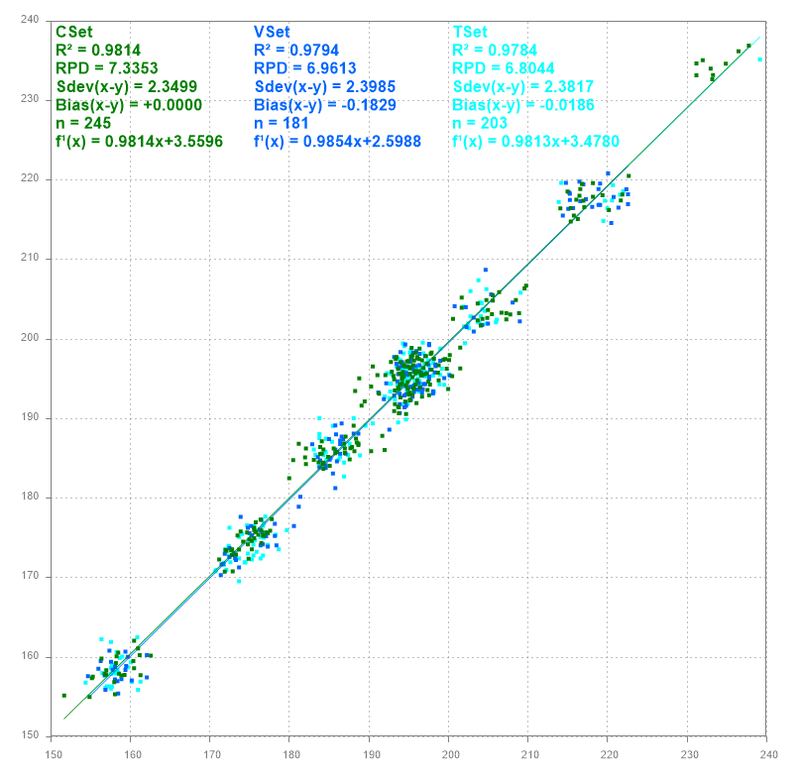 Chemometrics is the application of mathematical and statistical techniques in chemistry. Chemometrics is the application of mathematical or statistical methods to chemical data.